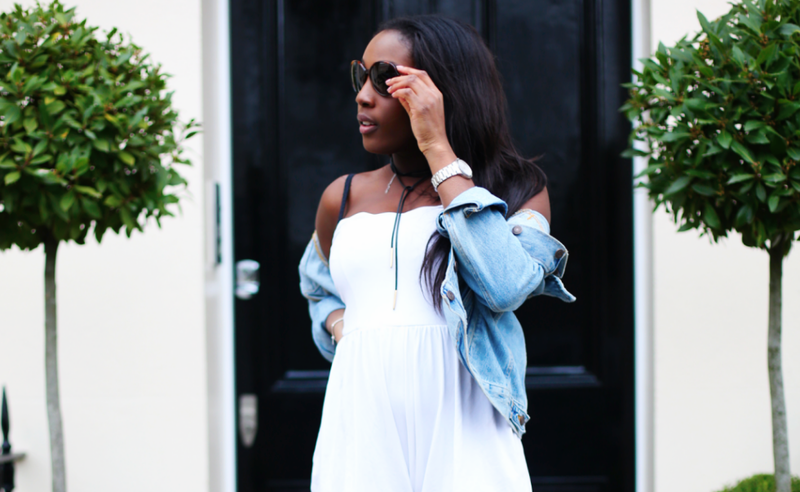 My friend had an all white party just over a year ago, and that is when I went online to buy this little jumpsuit from ASOS (I styled it in a pretty crappy post here). With spring around the corner and denim on a well-deserved come up, I decided to switch things up and go for a ‘lighter’ outfit, contrasted by the khaki sock boots. I originally wanted to buy light grey sock books but when I came to it, everything seemed to be sold out; all I knew is that I absolutely did not want to buy black sock boots, and it will just add to my ever expanding colleciton of black ankle boots. Instead I settled on the khaki which I thought would be hard to style (and it definitely can be at times), but which I loves as it is able to upgrade otherwise plain outfits. As bright as the photos look here, I actually took these photos on a freezing cold February day where I vowed I would never make myself suffer like that for my blog again. Regardless, I actually really like how these photos turned out! You can’t tell in the slightest that I’m crying inside. 14 Responses to "Springtime Fly"
That’s such a cute outfit Kemi!